Curry believes partnering with Uber will dramatically improve the movement of desperately needed supplies through the island. Disruptive philanthropist Mark E. Curry announced a partnership with global technology company Uber, designed to improve the distribution of food, water, and other needed supplies to Puerto Ricans impacted by Hurricanes Irma and María. This new alliance will streamline the delivery of life-saving resources to individuals, community groups, relief organizations, and faith-based charities that serve residents in the San Juan metro area and outlying municipalities on the island. Distribution of aid in Puerto Rico has been deeply hampered by damage to infrastructure and communications, limited power, and lack of fuel availability. “It has been devastating to witness the destruction caused by Hurricane Irma and María,” said Mark E. Curry. 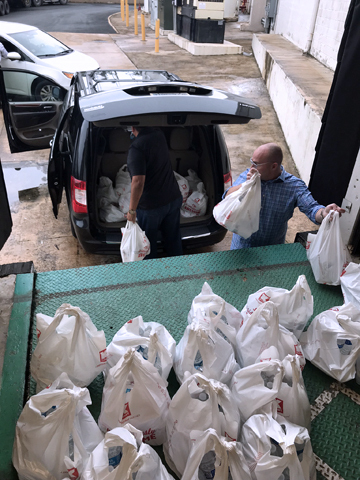 “We have been working to address the greatest needs on the island and I am very grateful to Uber for this partnership and their dedication to help providing basic nutrition and clean drinking water to those impacted by these disasters. “Although this partnership is just beginning, I am confident we will assist Puerto Rico’s recovery in the weeks and months to come by working together to help rebuild the island and provide for the basic needs of its citizens. The people of Puerto Rico are strong, but we are stronger when we work together,” he said. “As Christians, we are drawn to helping as many people as we can, to the greatest degree possible,” said Pastor Jason Dennett, adding that supporting this relief effort is part of the Chapel’s core mission. “When we were approached by Mark and his colleagues — people with the same heart and same intentions as ours — contributing to this effort became a natural fit,” he said. Hey Buddy!, I found this information for you: "Investor Curry, Uber join forces for hurricane relief in PR". Here is the website link: https://newsismybusiness.com/investor-hurricane-relief/. Thank you.